My children had a toy in which they are really having fun when they play it or let's say, them.. 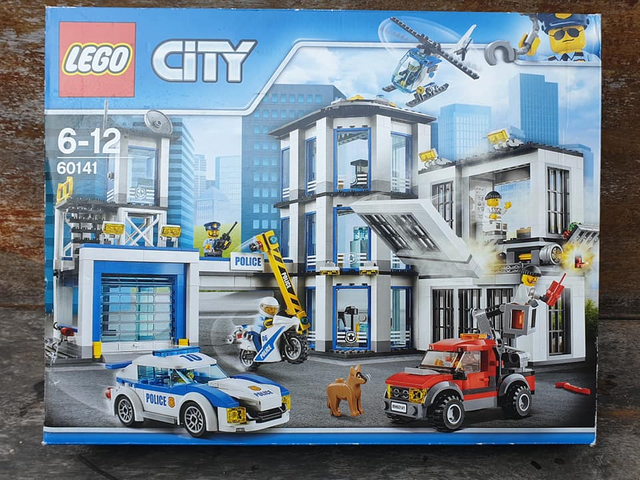 This original LEGO City toy was being bought by their aunt but never had been open because they were busy playing other toys that they had got. This LEGO City was brought to them months ago and it's kind of old but inside, it's still new. At first, we would have opened it and play but I asked my children if I could sell it and buy some toys that would fit in their ages. They didn't thought on answering me saying that they agreed with me so, I posted it on my FB to sell it but still, there are no one interested in this toy so we have to wait for a moment.